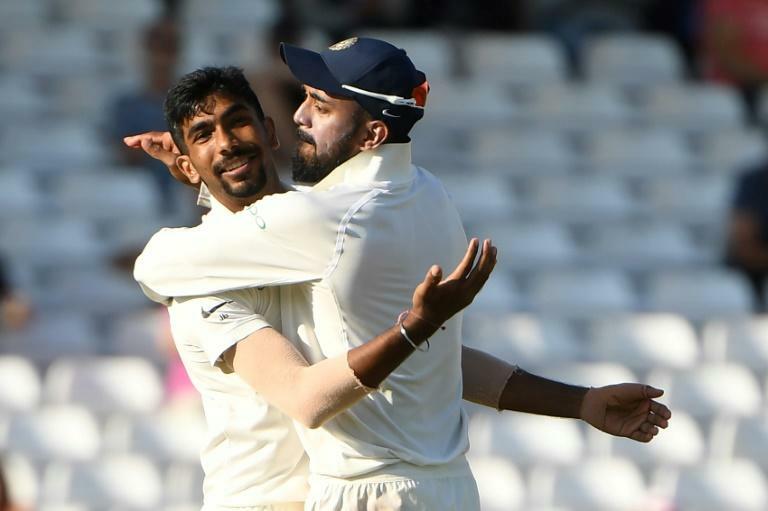 Jasprit Bumrah's dramatic new-ball burst left India just one wicket away from victory in the third Test against England at stumps on Tuesday's fourth day. England were 311 for nine, still 210 runs adrift of a huge target of 521, at the close. 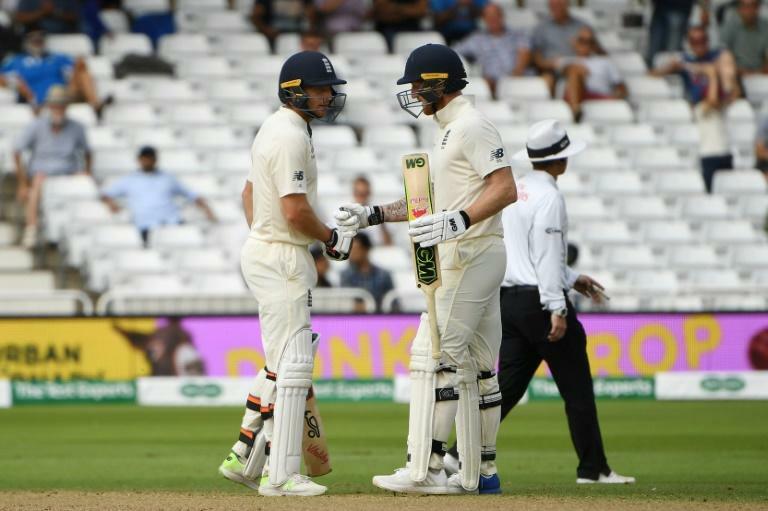 Jos Buttler, whose 106 was his maiden Test century, and recalled all-rounder Ben Stokes (62) kept India at bay during a fifth-wicket partnership of 169 after England had collapsed to 62 for four before lunch. But the advent of the second new ball saw fast bowler Bumrah take three wickets for eight runs in five balls as England slumped to 241 for eight. India claimed the extra half-hour in a bid to wrap up the match but England's last-wicket duo of Adil Rashid, riding his luck for 30 not out, and James Anderson saw out the day's play. That meant the teams would return for what could be just one ball on Wednesday, with India on the verge of reducing England's lead to 2-1 in this five-match series. Bumrah, playing his first match of the series following a thumb injury, had figures of five for 85 in 29 overs at stumps. "We always had the belief that if we keep on applying pressure, sometime or other we will get the result," said the 24-year-old Bumrah, who made his Test debut, against South Africa at Cape Town, in January. "We were just trying to get one wicket, not looking too far ahead." It was only earlier this season, against Pakistan, that Buttler was recalled to Test duty on the strength of his Indian Premier League form by new England national selector Ed Smith. "It's definitely a bit of a monkey off the back, and a fantastic feeling to get there," said Buttler of his hundred. After England resumed on 23 for none, India needed just five balls to take a wicket Tuesday. England lost their next two wickets on 62, captain Joe Root (13) falling to Bumrah, and Ollie Pope (16) both caught in the cordon. Buttler was dropped on one by debutant wicket-keeper Rishabh Pant and Stokes -- recalled by England just days after an acquittal on an affray charge following an incident outside a Bristol nightclub in September last year-- survived off-spinner Ravichandran Ashwin's lbw review on 38. Buttler cover-drove Ashwin for four to surpass his previous highest Test score of 85, made against India at Southampton on debut four years ago. Meanwhile, naturally attacking left-handed batsman Stokes showed he could grind it out when required, with a 147-ball fifty his slowest in Tests. Buttler, in his 38th innings at this level, raced through the 90s with several boundaries off Mohammed Shami and the 27-year-old went to his hundred when he clipped the paceman for a 21st four in 152 balls. But the new ball sparked a fresh collapse. Bumrah had Buttler lbw playing no shot and next ball Jonny Bairstow, batting down the order because of a broken finger suffered while keeping wicket on Monday, had his off-stump uprooted for a golden duck. Chris Woakes survived the hat-trick, with England 231 for six. But Woakes, who made a maiden Test century in England's innings and 159-run win in the second Test at Lord's, fell for four when caught behind off Bumrah's bouncer. And 241 for seven became 241 for eight when Stokes was caught by Rahul off Hardik Pandya. India were almost nine down when Rashid was caught in the slips by India captain Virat Kohli -- whose innings of 97 and 103 had done so much to establish his team's dominant position -- but an umpire review uncovered a Bumrah no-ball. Rashid was later dropped on 22 by Kohli off Shami. Stuart Broad, during a 20 on his Nottinghamshire home ground, became just the fifth player to complete the Test double of 3,000 runs and 400 wickets before he edged Bumrah to Rahul, who held his seventh catch of the match.